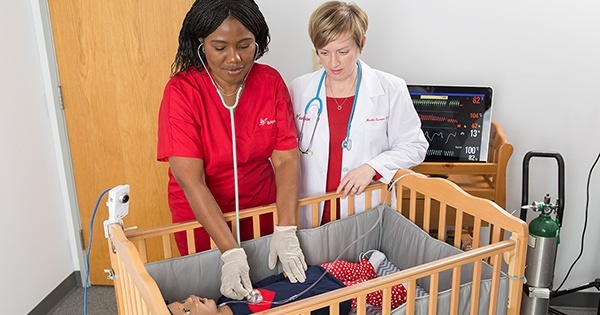 Simulation lab training using computerized mannequins to mimic real-life medical emergencies is part of the Nurse Residency Program, which prepares nurses to care for children in the home. BAYADA Pediatrics, a specialty of BAYADA Home Health Care, is seeking candidates to apply for their post-graduate Pediatric Nurse Residency Program. This full-time, 12-week training program is designed to prepare recent nurse graduates for their transition into a professional nursing role in pediatric home care. The program is followed by a nine-month residency period as a pediatric field nurse.